I recently had the pleasure of reviewing Holley Gerth’s new book release of “Coffee for Your Heart”, which was formerly “God’s Heart for You”. I loved it! I have read many of her books over the years and I love her writing style which is beautifully unique and heartfelt. She bares her soul and speaks from a genuinely authentic place. Holley’s love for the Lord is so apparent within the pages of her books. “Coffee for Your Heart” is an amazing book of 40 faith-filled reminders of encouraging affirmations of how beloved we truly are to the Lord. Using scripture and life experiences she sheds light on God’s amazing grace in our lives. Each chapter ends with a few soul-searching reflection questions to answer and a beautifully written poem. Holley Gerth is a wonderful author who writes with a very honest, heartfelt, authentic, faith-filled voice that speaks to your soul. Her words revive your spirit and bring hope to your weary days. “Coffee for Your Heart” was the soul medicine I needed to digest in this particular season of my life. The life-giving words lifted me up and gave rest to the weary, wounded places in my soul. I love that each daily reminder is a quick read yet rich with inspiring, powerful truths. Some of the uplifting topics within the chapters are; forgiven, loved, empowered, carried, redeemed, chosen, blessed, called, and His forever. Holley writes about who we are in Christ and our relationship with Him. We are His masterpieces. We are His beloved. Holley Gerth is a passionate writer, encourager, and warrior for Christ, and has a heart’s desire to help others. I know you will be blessed by her soulful messages in this book or any others she has written. I have been blessed by “Coffee for Your Heart” and I think you will be too! Holley Gerth and her husband Mark have a beautiful daughter Lovelle. Holley cofounded (in)courage, a wonderful online community of talented writers and creatives sharing their inspiration with women from all over. 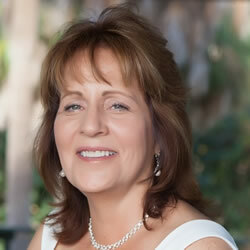 After receiving her Master’s Degree in counseling, Holley became a certified life coach. She served as a writer and editorial director at Dayspring for over a decade. Holley is the Wall Street Journal bestselling author of “You’re Already Amazing” as well as many other books which can be found on her website holleygerth.com or your favorite online retailers. You can find Holley Gerth on Facebook, Twitter, Instagram, and Pinterest. I hope you decide to read “Coffee for Your Heart” or any of Holley Gerth’s amazing books, you will be hooked on her and her writing like I am! Thanks for sharing this amazing post! The four quotes you have shared are truly encouraging. Stopping by from #Coffee for your heart linkup. Elizabeth, thank you so much for your kind words! I love Holley Gerth’s writing and I wanted to support this amazing book!